All the cricket fans across the country are keenly following the Indian team's performances in the ongoing ODI series against Australia. The team management is trying to finalize the best possible team combination for the 2019 ICC Cricket World Cup which will begin in England and Wales from 30th May 2019. 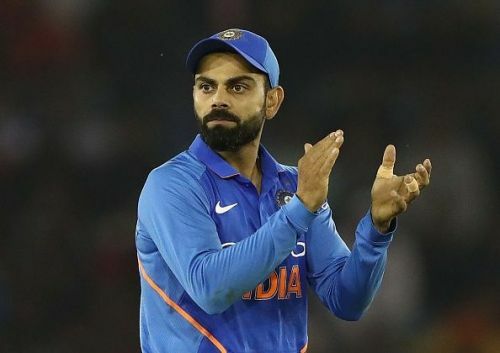 India will go into the tournament as one of the favorites as they have a very strong team, with some of the biggest match winners of the game, viz Virat Kohli, Rohit Sharma, Jasprit Bumrah and Kuldeep Yadav. What makes this present team one of the best in the world is that it has a great balance with equally competent batsman and bowlers. The previous Indian ODI teams were mainly dependant on their batsmen for scripting their famous victories and struggled when the batsmen failed to score big runs. But the present team has some of the best pacers and spinners of the modern era, namely Jasprit Bumrah, Mohammad Shami, Kuldeep Yadav, and Yuzvendra Chahal. These bowlers make it very difficult for the opposition batsmen to score runs freely and also have the ability to take wickets consistently. As a result, nowadays India often restricts the opposition for small totals, by getting them all out within the stipulated 50 overs. Another big strength of this ODI unit is it's top three batsmen. Rohit Sharma and Shikhar Dhawan form a formidable opening pair. Their consistency and match-winning ability make them one of the best opening pairs in the history of ODI cricket. And India's number 3, Virat Kohli, is not only the best batsman in the world but the biggest match-winner in the history of ODI cricket. However, in spite of being a very strong unit, the current ODI team has some weaknesses also, which they need to take care of if they want to win the World Cup. In this article, we look at the two biggest weaknesses of this present Indian ODI team.